While Sunday’s municipal election may have been historic for women – seven out of 18 elected borough mayors are women – it was not a good day for diversity. While Sunday's municipal election may have been historic for women – seven out of 18 elected borough mayors are women – it was not a good day for diversity. Cathy Wong, city councillor in Ville-Marie. Abdelhaq Sari, city councillor in Montreal North. Alan DeSousa, borough mayor in Saint-Laurent. Frantz Benjamin, city councillor in Villeray/Saint-Michel/Parc-Extension. All four of them are from Équipe Denis Coderre, which is now the opposition party. Another, Marie-Josée Parent, is Mi'kmaq. 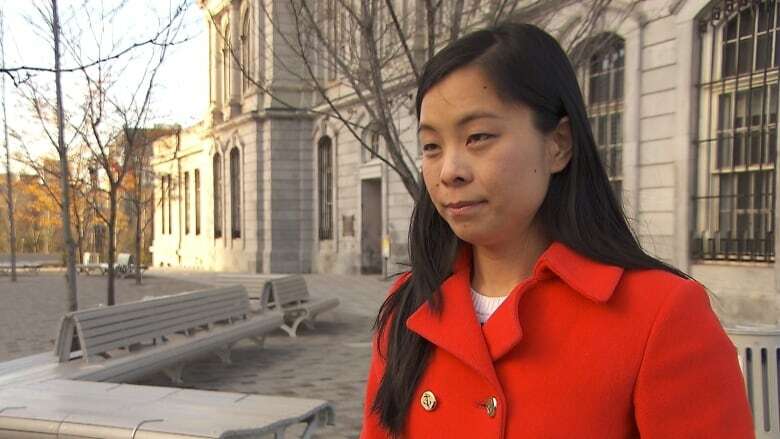 "When we look at today's new municipal council what we have to remember that there's still a lot of work to do," said Cathy Wong, who won in the downtown district of Peter-McGill. Wong said her victory was more than a personal win – it was a historic moment for Montreal's Chinese community. "Apparently I'm the first Asian woman to be elected in Montreal and I didn't know that before being elected. It was really big news." While visible minorities represent about one-third of Montreal's population, they make up only 6 per cent of the city council. Chris Erl, a McGill University PhD candidate in geography, has researched diversity in municipal politics across Canada. He said party leaders need to be proactive in recruiting a diverse slate of candidates. "Male candidates will generally ask to run themselves," he told CBC. "Women candidates will have to be asked to run.…So when it comes to visible minority candidates, the same is true." Wong says when it comes to city politics, minorities often feel as though they are on the outside looking in. "There is an issue with not being able to identify ourselves with what we see inside the government, inside the municipal council and when we don't see ourselves in those spheres of power we don't see ourselves being in it."